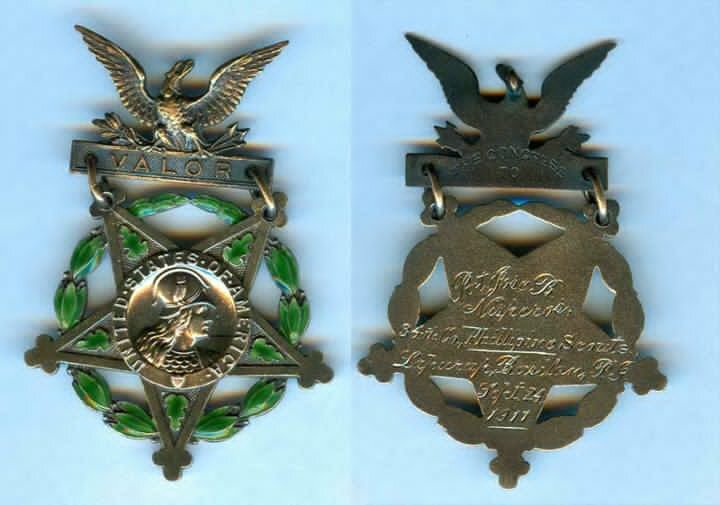 There were only a handful of Filipino soldiers in the past who were bestowed with the highest military distinction given by the United States government– the Medal of Honor. 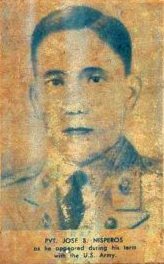 One of these distinguished Filipino wartime heroes was Private Jose B. Nisperos. Today, he is recognized as the first Asian and Filipino to receive the United States Congressional Medal of Honor. Jose B. Nisperos grew up in the province of San Fernando, La Union and later joined the Philippine Scouts. He was recruited to the 34th Company United States Army Philippine Scouts Division. During this time, the Philippines was a territorial property and colony of the United States and was engaged (alongside the American colonizers) in a battle to suppress the Moro Resistance (1899-1913) in Mindanao. Sept 24 1911. The gunboat USS Pampanga arrived off Semut, Basilan Island, and landed a 21 man shore party under Ensign Charles E. Hovey to take supplies to the US Army Camp in Tablas, Basilan Island. Pvt. Nisperos was one of the Filipino Scouts attached to the naval gunboat USS Pampanga and part of the shore party on that fateful day. The shore party was divided into two teams, the advance party who scouted the path that they were going to take and the rest of the Filipino scouts who carried most of the supplies just a hundred meters away. As they passed Lapurap They came to a village called Mundang, The village was small and composed of a few nipa huts and a clearing. For a village though, it was unusually quiet. Suddenly and without warning, the team was ambushed by Yakan warriors who fired a volley of shots and rushed the small team with spears and swords. The volley of fire instantly killed Ensign Hovey and injured Pvt. Nisperos and two American sailors. Pvt. Nisperos who was beside Ensign Hovey was struck in his left arm and was immediately knocked over, but he managed to fire and reload his rifle despite his injury. The wounded American sailors also blazed away with their rifles killing and wounding more of the attackers, the hand to hand combat that followed allowed some of the Yakan warriors to stab Pvt. Nisperos with spears and knives severely injuring him. But Nisperos and the Americans were determined to fight off their attackers who retreated in no time. The battle lasted for only a few minutes. The remaining Scouts who were still far from the kill zone were able to respond immediately and reinforced the pinned down advance party and soon routed the enemy killing many of them. For their gallant action in the battlefield, Private Jose B. Nisperos and five US Navy personnel were awarded the Congressional Medal of Honor. Private Jose B. Nisperos was medically discharged due to the severity of his wounds and given a pension of $55.00 /month. He died in 1922 after a long illness at the age of 34.